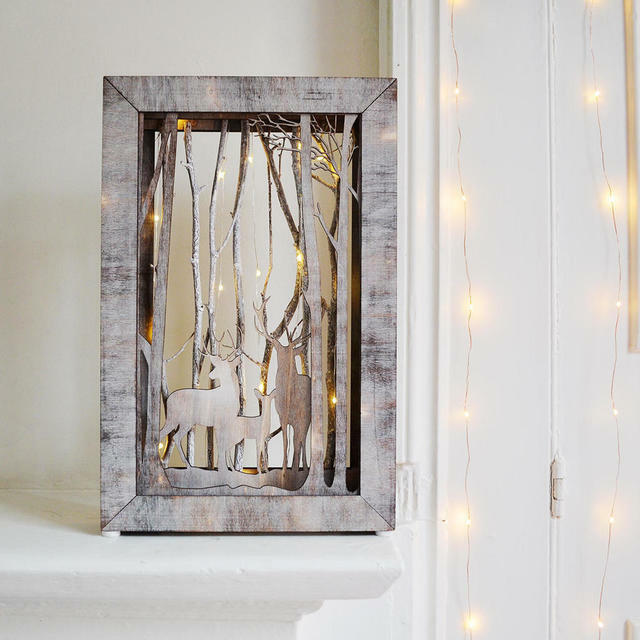 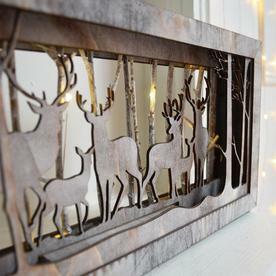 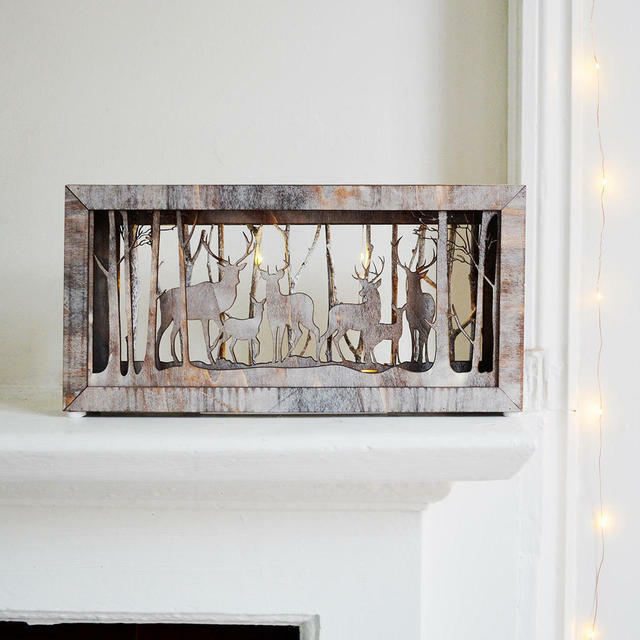 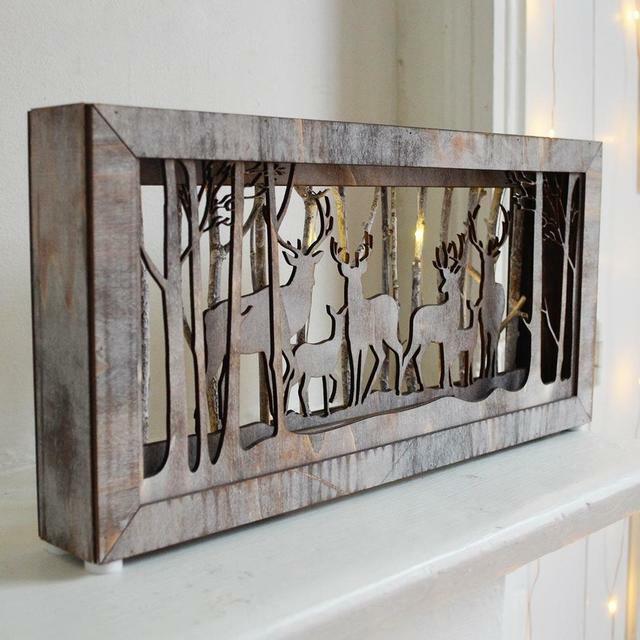 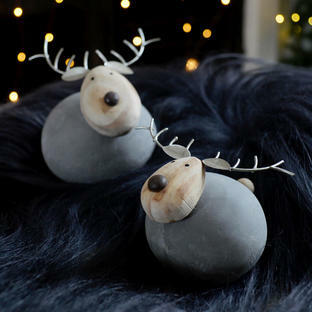 Delightful Nordic woodland scene to light up your mantle-piece or window sill. 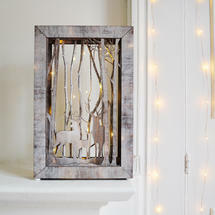 Free standing wooden box Nordic woodland scenes, come to life when lit with the soft LED lights. 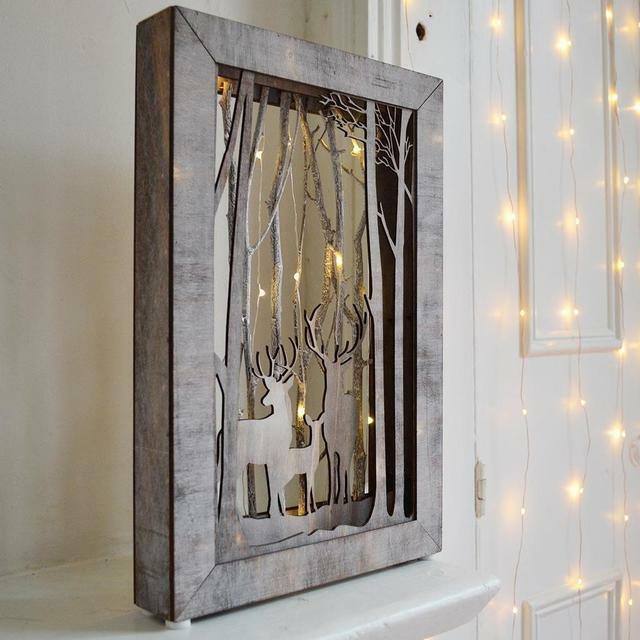 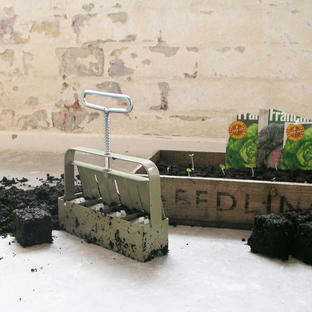 The light boxes are delightful standing either on a simple shelf or window sill. 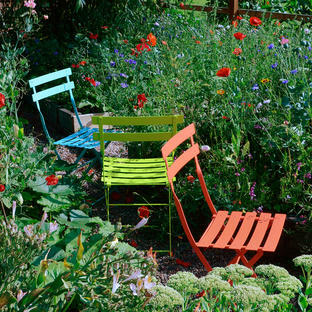 Choose between a landscape or portrait scene. Made from wood with LED lights. 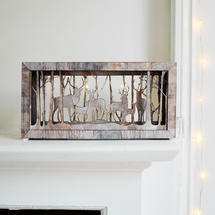 Requires AA batteries, not supplied.